Sometimes you need to go big. Really BIG. 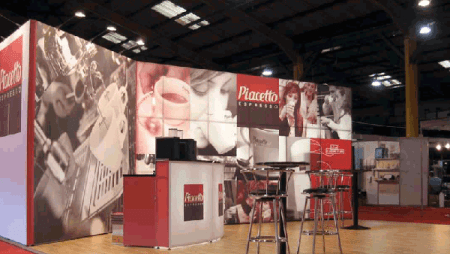 Exhibitions are perfect for making a huge impact at events, conferences or promotional pop-up locations. We can work with you to design and create the perfect exhibit for your requirements. Taking care of the design, logistics and distribution you can sit back and focus on practicing that promotional speech for visitors to your exhibit. Among the exhibition solutions we provide is the T3 modular system. This technology allows the creation of robust and complex exhibitions in a cost-efficient and high-quality manner. T3 systems require no tools for construction, are easily stored and can be reused multiple times. With a life time guarantee, you can insure that your exhibition will push your companies message for many years to come. You can find out more here.